Discussion in 'iPhone and iPad Games' started by iliyard, Jan 28, 2016. "Long ago, there was an archmage with a mystic power. She protected the kingdom with the her 12 apostles. One day, after the king passed away, they disappeared without a notice, then an endless war against the monsters began. The legend says that only a hero with the artifacts of archmage and apostles can end this war. People waited, for the chosen one, hoping the legend was true. for a long time ..."
This game is really fun and addicting to play and more people should play it ▣ Story "Long ago, there was an archmage with a mystic power. She protected the kingdom with the her 12 apostles. One day, after the king passed away, they disappeared without a notice, then an endless war against the monsters began. The legend says that only a hero with the artifacts of archmage and apostles can end this war. People waited, for the chosen one, hoping the legend was true. for a long time ..." ▣ Retro is coming back! Thrilling control game with full of RPG features. - No auto-combat - Evade and counterAttack - Dodge combo-attacks from boss - Enjoy full 4 colors graphic and 4ch 8bit sound ▣ Play with various heroes and unique skills! 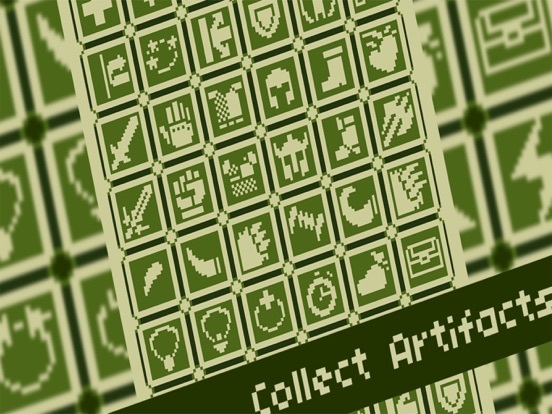 - 26 heroes with different abilities and skills - upgrade your stats with bounty as you want ▣ Pick what you want, collect unique artifacts! - 24 artifacts of giving effect to all heroes - Upgrade artifacts, make it more powerful ▣ Ending is far beyond! - Clear stage 40, 80, 120 to see the unique epilogues of each hero. ▣ Tip! Take the advantages by 'Just' evade & 'Just' attack! - Just evade : Evade the exact timing - Just attack : Attack monster that appears in the timing ▣ Tons of new features! - 10 new heroes with more powerful skills. - 16 new boss monsters with legendary powers. - 2 new epic game modes; Colosseum and Raid. 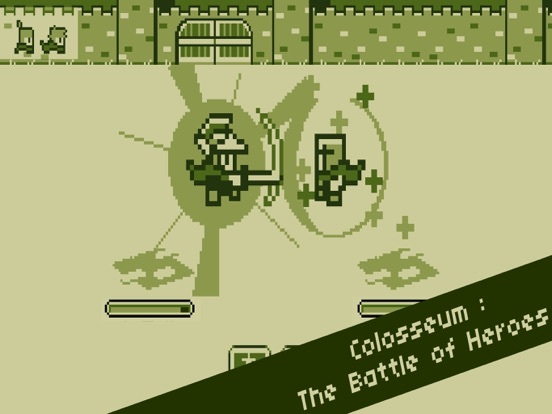 ▣ Colosseum - Play as a party of 3 heroes. 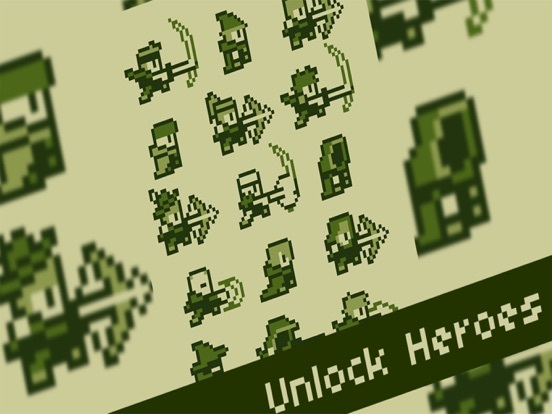 - Battle against other heroes with hero skills. - Switch between 3 party members with different skills; build your own strategy against powerful enemies. - Win 12 battles and become a champion to get honor points and Summoning Cards to unlock new heroes. ▣ Raid - Play as a party of 3 heroes. 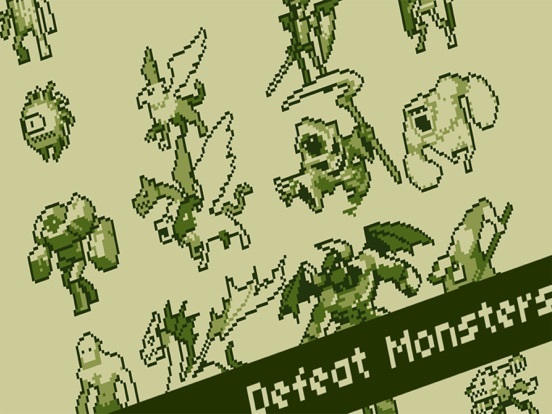 - Battle against legendary boss monsters with 3 different powerful skills. - Switch between 3 party members with different skills; build your own strategy against powerful enemies. - If you are defeated, you can continue your battle with a different party. - Killing legendary boss monsters will grant you medals and powerful scrolls that can increase hero's attributes beyond the limits. ▣ Colosseum/Raid Tips! - You can switch your party member whenever you want! - Buffs and debuffs don't go away after switching, use it to your advantage. - Skills such as "Stun" or "Shackle" can be used to stop the enemy skills. 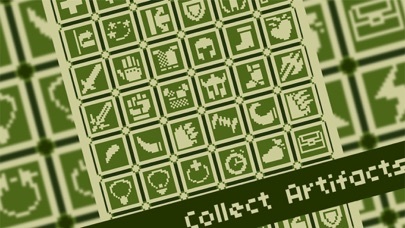 - All the enemy skills can be countered with certain hero skills. - Heroes will need a rest after attending Colosseum or Raid battles. Unlock and upgrade other heroes to create more parties to play without waiting. - The difficulty of Colosseum/Raid will increase as you clear. Try it the next day if it becomes impossible. The icon caught my eyes and I had to take a look. it kinda reminds me of my old gameboy color, which is still left somewhere in my drawers. I got the app, and its not bad so far. if you like these kind of retro games, I suggest you give it a try. It feels a lot like NES "Punch-Out!!" in terms of gameplay, except rotated 90 degrees. So instead of dodging left, right or ducking the attacks, you avoid them by briefly moving up, down or backstepping out of harm's way. And instead of 'star punches,' you evade attacks enough to dizzy your foes and then perform multiple attacks while they're stunned. The "just evade" is a nice risk/reward system, too, as the stun/rage gauge increases faster if you avoid attacks at the last second. Doing a "just attack" by timing your blow to land just as the next enemy appears means your first hit does extra damage. So yeah, good stuff here. There's a bit of a learning curve until you recognize what the 'warnings' mean and how to properly evade, and I don't think I could play it for extended periods, but it's great for short sessions. This game is awesome. I love it. Download immediately. Don't be too quick to abandon the "Novice" class. It's the only one that has built in 'training arrows' to better understand and avoid attacks. I still haven't been able to visually determine the difference between when the Dragon on Level 30 is swaying back for a diagonal attack or spinning back for a strike that can only be backstepped, but I managed to get by him relying on the arrows. Every time you defeat a "10th Boss" with a new character, you'll be able to pick from one of three Relics, and that character will automatically start at Level 11 (or 21, 31, etc) on the next play session. I'm a little worried about this because you can only carry five Relics - then you need to spend Gems to increase your capacity. So if you defeat a boss, can't hold any more Relics, and don't draw one of the relics you already have (you can upgrade without needing more capacity), you might "waste" that Relic Upgrade chance. There are also several classes that can only be unlocked by Gems. The Monk, Alchemist and Sniper each take 35 Gems, while the Martial Artist, Wizard and Assassin each take 70. I have no idea what the Colosseum and Raid modes are like - I get destroyed in one hit in the Colosseum and I'm not even eligible for the Raids yet. Crazy it was just updated a day after I brought it back. This game is really really a hidden gem that needs more exposure . Loving the game but having a hard time counter attacking. I looked at the tutorial but can pull it off. I'm really loving the game. At first I wasn't so sure, but once you get into a rhythm, it's quite addicting. Cool thanks for the clarification !!! Liked it at first, but had to delete it. After the novice class...i just cant tell where thr enemy is gonna attack . This game gets better and better and better. 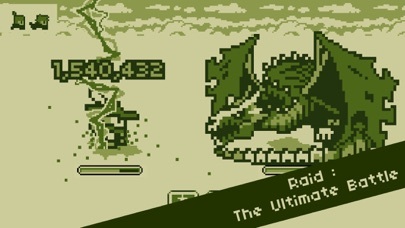 Takes a little time learning each monsters attack but once you do then dodging is nothing. Also each charact r you unlock has a different ability like heal and shield. A very good timed cool down and it builds back up. I'm usually never good or patient enough for these types of games but this one has everything of a hit. Yeah it takes a little practice, but you learn to read the enemies, movements. If I'm stuck then I just take the novice through to learn the attacks. One thing I am somewhat unclear of is when the bosses do the multiple attacks; do the markings show just anywhere you can dodge?